State Police and participating agencies have a table discussion on the newly created safety action plans with the Northwest Louisiana Transportation Safety Coalition. The Northwest Louisiana Transportation Safety Coalition has developed action plans that could potentially save thousands of lives on Louisiana’s roadways. Zero deaths is the goal of a statewide initiative that has northwest Louisiana communities working together to improve highway safety. Nine regional safety coalitions have been formed in Louisiana. The Northwest Louisiana Transportation Safety Coalition includes the parishes of Caddo, Bossier, Webster, Claiborne, Bienville, Red River and DeSoto. The coalition has developed four action plans in four emphasis areas: occupant protection, impaired driving, young drivers and infrastructure operations. Outlined in these action plans are ways to fund and install cable barriers along additional roadways, providing educational materials for school and community presentations, enforcing safety campaigns (“Click It or Ticket”, “Drive Sober or Get Pulled Over”, etc. ), hands-on training experiences for law enforcement, and encouraging the use of alternative driving options. 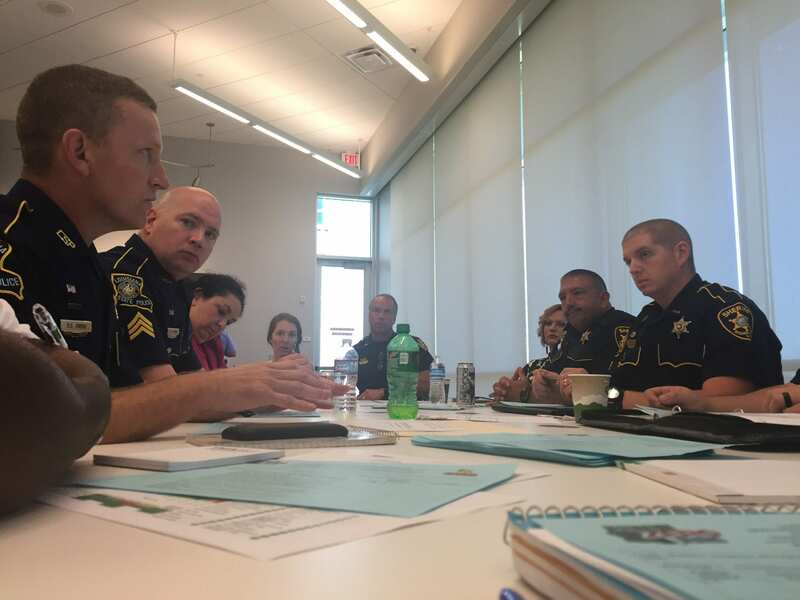 The coalition is tasked with reaching out to safety stakeholders in law enforcement, engineering, education, and emergency medical services to participate in the development of a regional safety plan, which uses the state’s Strategic Highway Safety Plan (SHSP) as a guide. Part of the statewide effort is to reduce the number of fatalities by half by 2030. In order to meet that goal, coalitions have analyzed crash data, identified proven countermeasures, developed action plans and are in the process of implementing those plans. The Northwest Louisiana Transportation Safety Coalition began working on action plans in May through a speed planning process. Ideas were taken and put onto paper and recently presented to participating agencies and organizations. Donna Cavanaugh, Executive Director of the Ark-La-Tex Chapter of ThinkFirst, said the process is moving in a positive direction. ThinkFirst is just one of the local agencies and organizations that will play a vital role moving forward. Founded in 1996, the Ark-La-Tex Chapter of ThinkFirst has shared injury prevention education with more than 206,000 children, youth and adults. Their programs cover driving safety, such as drunk and distracted driving, and general community safety education. Each year, more than 500,000 traumatic brain and spinal cord injuries occur in the United States, many of which are preventable. The most common cause of such injuries is motor vehicle crashes. Destination Zero Deaths is the central vision of the Louisiana Strategic Highway Safety Plan (SHSP). Led by the Louisiana Department of Transportation and Development (LADOTD), the Louisiana State Police (LSP), and the Louisiana Highway Safety Commission (LHSC), this strategic plan outlines various ways safety stakeholders can make a difference in the state’s transportation system. The SHSP consists of effective strategies that can be implemented at the state, regional, and local level. For more information on Destination Zero Deaths, visit www.destinationzerodeaths.com. Go ahead and write me a few more tickets you thieving, cold hearted, precious men and women. I really do love and appreciate you, just sometimes I want to get home and my lead foot gets ahead of my checkbook.